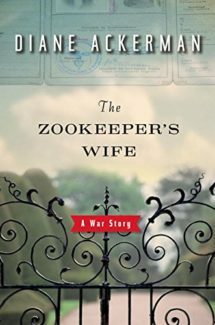 We’ve all heard the story behind The Zookeeper’s Wife, a non-fictionalized account of a couple during World War II Nazi occupied Poland who managed to save hundreds of lives by hiding refugees in plain sight. Jan and Antonina Zabinski loved animals and zoo keeping, forming special, deep relationships with critters ranging from elephants to badgers. When bombs and marauding Nazi officials with a yen for fake game hunting desolate their zoo, the couple finds their home continually invaded and used by the German army – sometimes as a zoo, sometimes as a barracks, sometimes as an impromptu pig farm, sometimes as a fur mill. Yet, the uniqueness of their lives – its centralized outgoing chaos, puts them in a position to do the unthinkable – hide Jewish guests. The audacity of the plan and the temerity of hiding a beleaguered people in the very lair of their persecutors pays off, but at a steep emotional cost as the war drags on and Jan and Antonina worry not only about themselves and their dwindling animals, but about their son who sits in the cross hairs of their double lives. Now let me just say, I came to this book with certain expectations, none of which were shaped by the movie – I haven’t seen it. Everyone knows the vague outline of the details, however, and expects that the book will shed light on heroism. What enables these average citizens in these extreme and dire circumstances to risk everything – home, family, children, and future – to do the right thing? It’s what we would all want to do – pray that we would do – but fear that ultimately we would find ourselves too afraid, too weak, too willing not to see. How then do some normal people go from living their lives to doing something incredible? What is in the character of people like these that enables them to transcend daily concerns and become heroes? And if this quality can be separated, is there a chance we may see it in ourselves? Of course The Zookeeper’s Wife goes beyond the philosophical wonder that leads us all to stay awake late at night, proposing horrific situations and trying to guess how we really would act as opposed to how, in the safety of imagination, we do act. As the narrative delves into what is known about Jan and Antonina, we expect to also come full circle, knowing the macrocosmic story but also facing the microcosm of how one couple experienced a very personal war. The atrocities of World War II fill endless books, both fiction and non-fiction, and yet each person experiences the war differently. Jan and Antonina, actual real people, are certainly no exception to this rule, especially since the Nazi’s find the zoo a convenient barracks throughout the war. With everything then that we expect, The Zookeeper’s Wife is ultimately a let-down. While the real life situation was epic worthy, the book cannot provide answers where history gives us none. Antonina, who’s participation was limited, is the soul focus, namely because she wrote in a daily journal. Her quotes show a lyrical spirit, an attraction to the animal kingdom’s beauty that is almost poetry. Yet her actual emotions, the wearing down of what seems to be an already testy relationship with her husband, her fear for her young son, her continual involvement with Nazi officers and soldiers, remains purely speculatory. Often author/historical researcher Diane Ackerman relies on statements that form semi-safe intuitions and guesses, because we just don’t know. Jan, who mostly dealt with the underground and experienced further danger, and held additional secrets, left no record and so he is seen only through Antonina, the dutifully silent wife. As the story continues, we hear less and less from the Zabinski’s. The animals are dead, the baron crater-scape of war smoking around them. What is quoted is so starkly factual that it’s devoid of emotion which is indeed telling but not satisfactory in painting the full picture and the range of the Zabinski’s connection to the fledgling resistance. In some places the German officials that surround the story are better painted, including the one who “doesn’t see” due to his love for a certain beetle collection. Ackerman attempts to characterize each of the Jewish refugees who continually pour through the Zabinski’s zoo, shuffled from abandoned cages into the very house itself; yet it’s impossible. Everyone blends in the horror of war and the stifling nature of “just the facts.” It’s research and where it doesn’t speak, there must be silence, even though Ackerman with her novelistic flair can be seen doggedly weaving a web where so many filaments are just missing. Although the language sings, what remains is pragmatic lists and readers never feel that they know the Zabinski’s. We began wanting to unravel who these people are and how they are able to lead and see out such a dramatic and superhuman effort. In the end, we still don’t know. We have bits and pieces – enough to suggest the disquiet behind the scenes. For example, in one segment, Ackerman talks about Jan and Antonina and how many of their “guests” commented on his verbal mistreatment of her. Was this a result of stress or a long drawn pre-war routine? Was the perfect couple who saved so many cursed with a bad marriage? Was Antonina deliberately excluded, not out of an effort to protect her, but because she was a woman? Or does this mysterious comment signify just a bad day or week and mean nothing? In the end, we still don’t know much more than when we started. 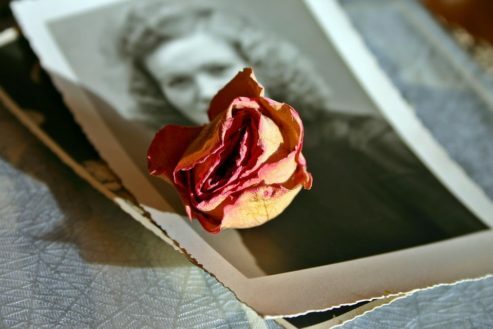 The curtain stays drawn and despite all the tantalizing promises of a thick book with the flair of a novel and the lyrical aspect of a poem, we’re only able to pull it back a tiny amount, here and there, to see fragmented pieces that may mean everything or may signify nothing. In the end, history does not give up her dead.